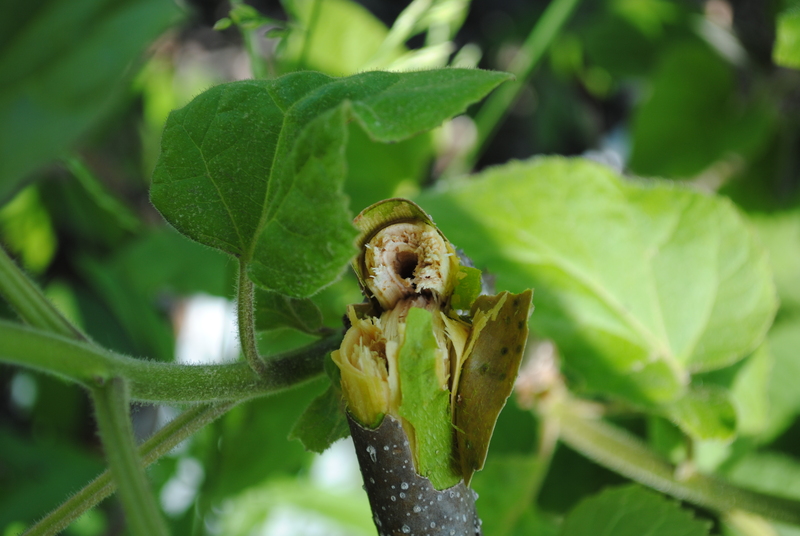 Our native catalpa tree (Catalpa speciosa, above) can be difficult to distinguish this time of year from the invasive royal princess tree (Paulownia tomentosa). When you get closer though it is easy to distinguish. 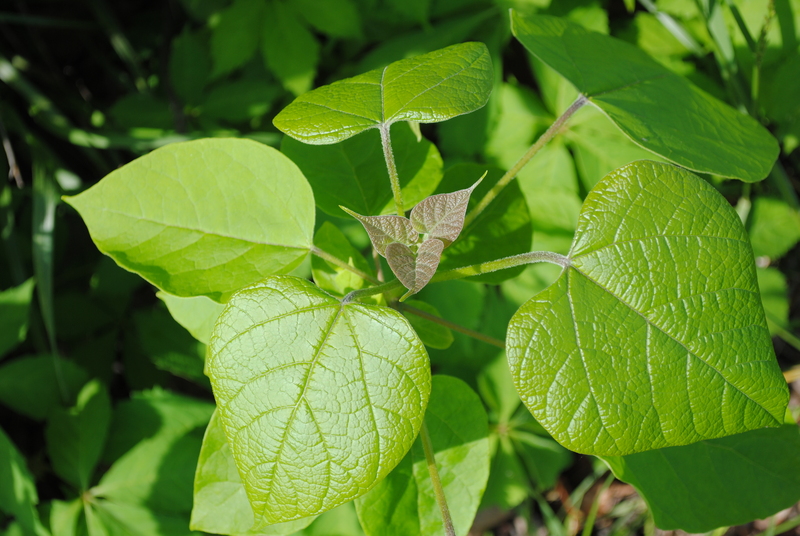 The first characteristic is that catalpa has whorled leaves, that means that 3 leaves attach to the same portion of the stem. See how above the leaves in various stages of maturation appear in groups of three? 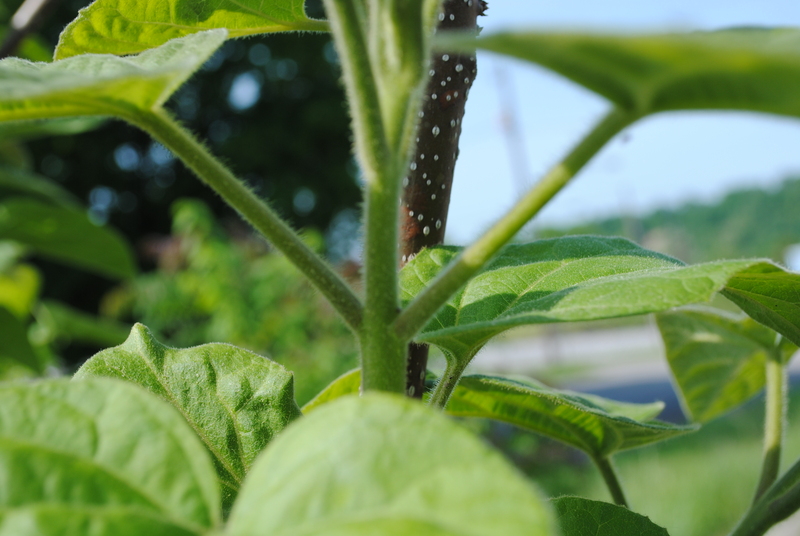 The below picture is a close up off the stem. 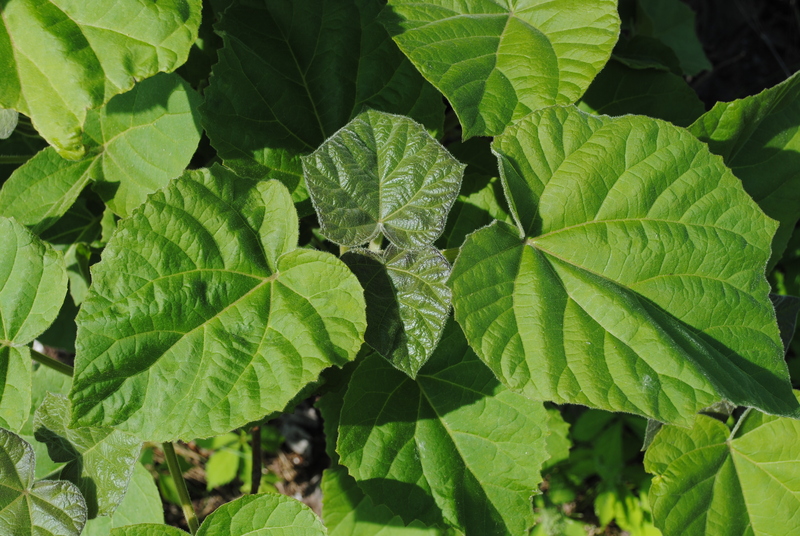 See how Paulownia above has leaves that are growing in sets of two (opposite leaves). Also note how much more hairy the leaves seem and their rougher edges. 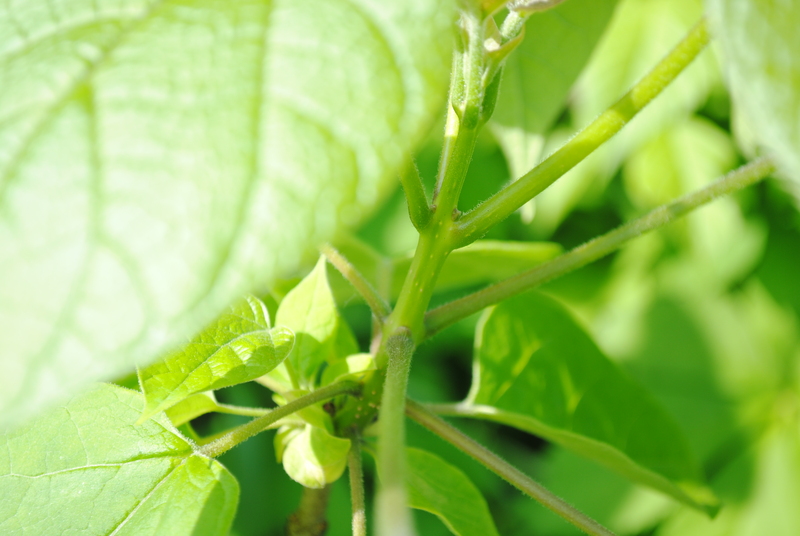 Below is a close up of where the leaves attach to the stem, note that only two leaves attach at a node.